The competition is free of registration fee. Posters proceeded to the finale will be reproduced in the catalogue. You can find all important information at the web site www.tpt.sk and you have to fill up the registration form online there, too. 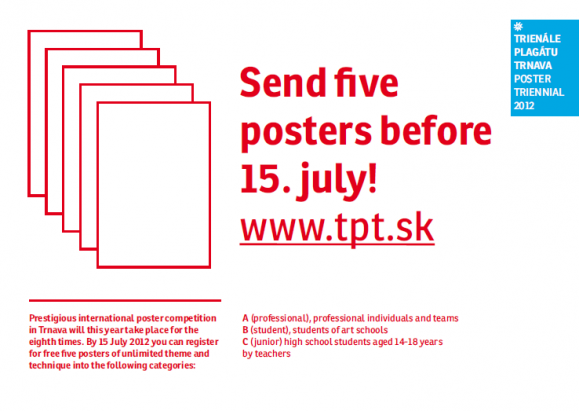 Deadline for competition is July 15, 2012. Please send work in advance to arrive on time.